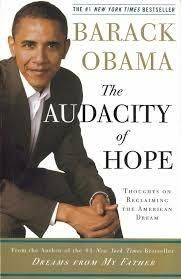 Audacity of Hope, The Reality of Anger: When will we see heroes in Congress? Another election awaits our participation. The yard signs, TV ads, direct mail, and phone calls badger us. Would-be politicians stand on street corners waving as if they are applying for a greeter job at Walmart. I was full of hope that we would see forward movement. Movement on both sides of the political fence that addressed the needs of our public schools, energy independence, fair immigration WITH a secure border, the festering problems in the Middle East, and so on. But instead, my hope has been eaten away by anger. Anger at politicians who goosestep to the directives of their party leaders, party leaders who are proud of their non-compromising reputations, obscene wealth buying elections, media hosts who twist and speculate for the sole purpose of keeping people disillusioned, and mostly about a pervasive attitude that the dysfunction cannot be fixed. Keep this in mind. We elect presidents. We don’t elect dictators. The real power in our country lies with the people we put in the House and the Senate. They are supposed to be moving us forward. In just about a half dozen years we’ve lived through a deep recession, problems caused by a porous southern border, a shameful VA Hospital scandal, and a hate filled world in the Middle East that keeps sending flag draped caskets to Arlington. I will never know what it is like to stand in the shoes of President Obama, Vice President Biden, Speaker Boehner, or the others charged with running our country. I am just a middle class guy running on the treadmill of life, still trying to climb out of the recession. I deeply need to know that our members of the House and Senate are watching out for us, the middle class. As Election Day approaches, I am trying to sort through the noise to make the best choice. And I wonder…Who are the creative thinkers? Who are the deal makers? Who will emerge to lead a group of fixers? Will they succeed? I still have hope. I will always have hope. But, my anger is real, and it is justified. Will we finally see heroes in the House? Will heroes emerge in the Senate? My hope whispers ‘yes’ while my anger screams ‘now‘.